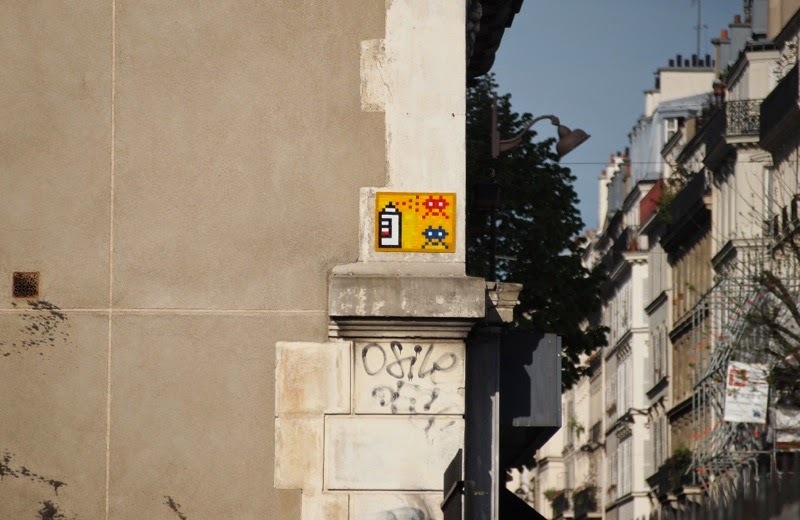 Street art, all over the French capital (and the world), mostly in the form of Space Invaders. Paris is where the biggest names in Western art can be found. The Mona Lisa. Van Gogh. Monet. Picasso. 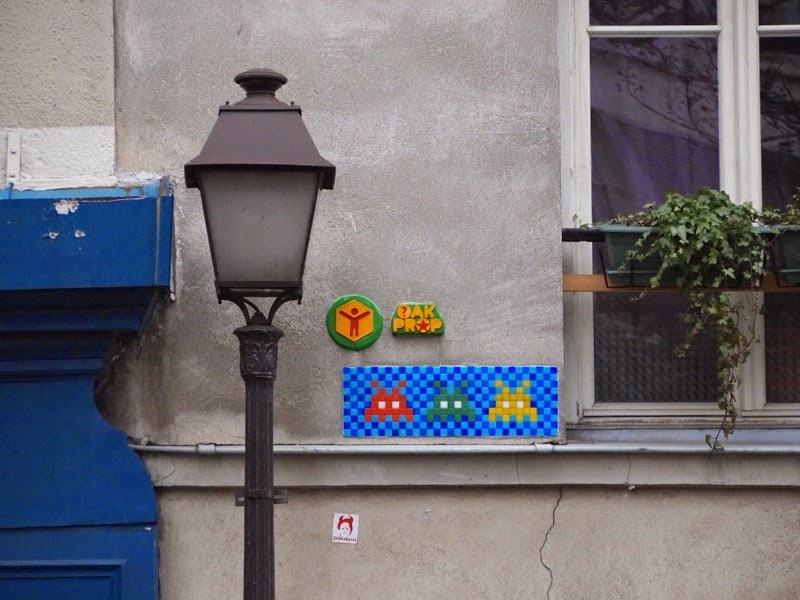 Space Invaders. 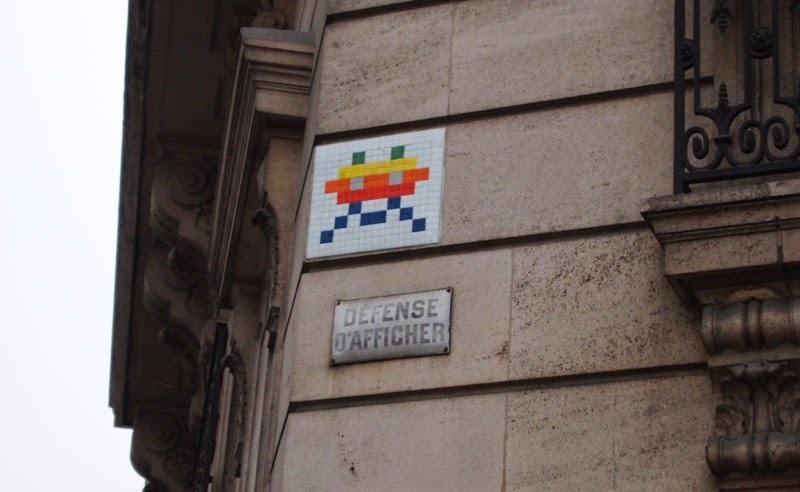 Eh, hang on, Space Invaders? 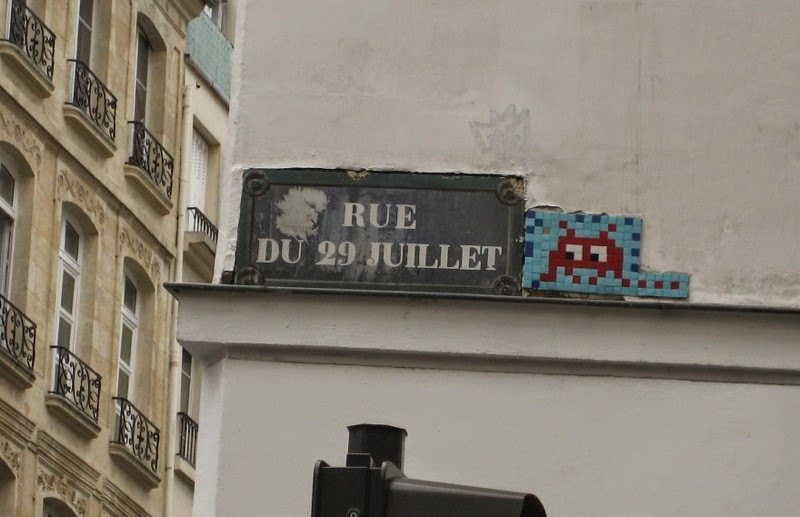 Yes, these pixelated characters first emerged as a form of street art in Paris in the 1990s and have since spread all over the world. Paris still has the largest collection of them: more than 1000. Come and find them when you're bored with the Mona Lisa and Monet. 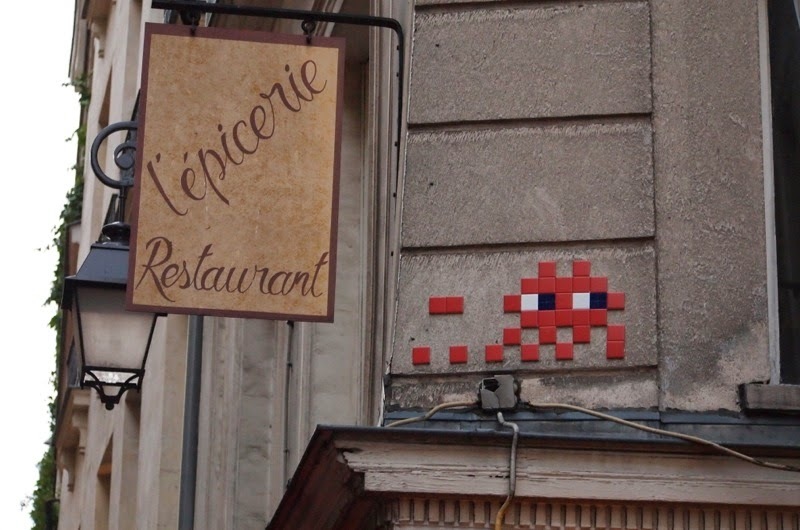 All over Paris. 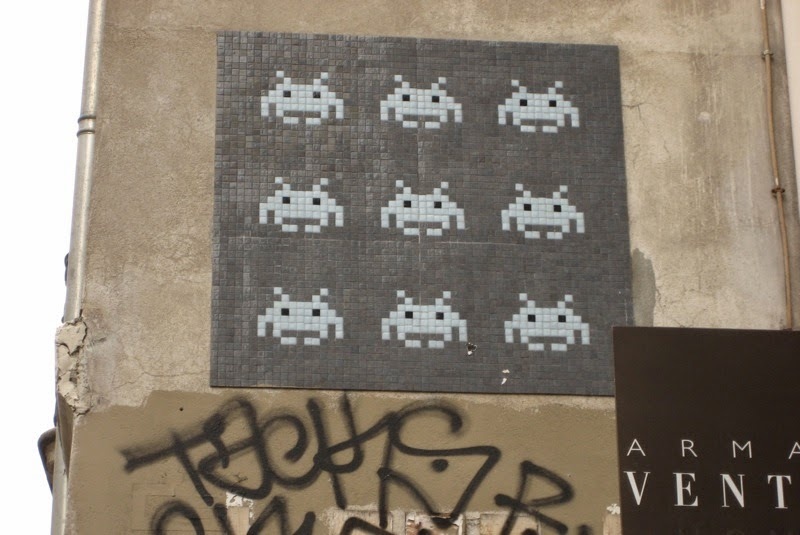 You can't as much visit the Space Invaders as well as run into them. Once you keep an eye open for them, they will start popping up all over the city. 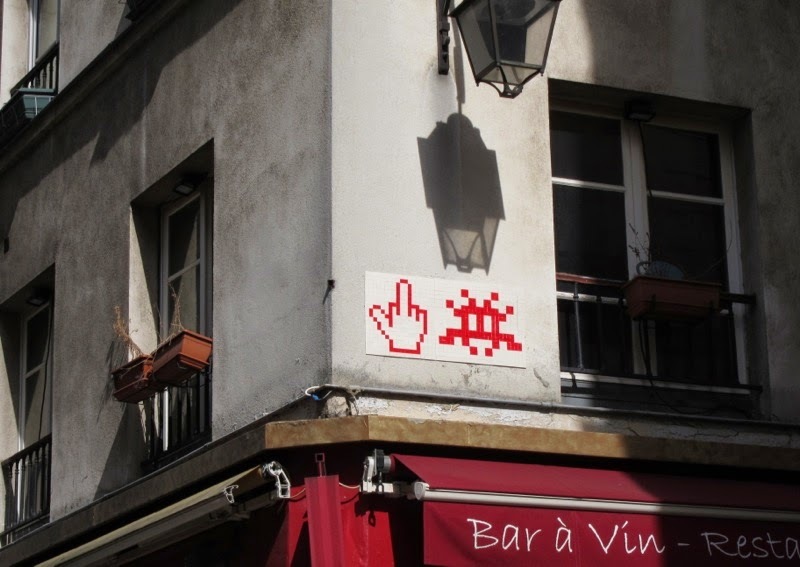 WHO CREATED THE Space Invaders? Nobody knows. 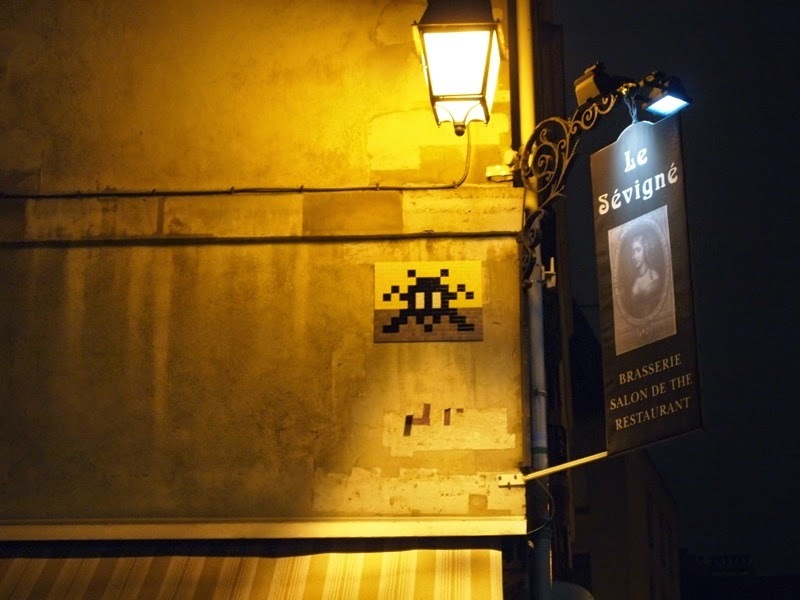 Like his British counterpart Banksy, the artist responsible for these pieces of street art has remained anonymous, although he is known under the moniker Invader. He works anonymously, puts up these works without permission, and considers arrest an occupational hazard. His first pieces started appearing in Paris in the mid 1990's. 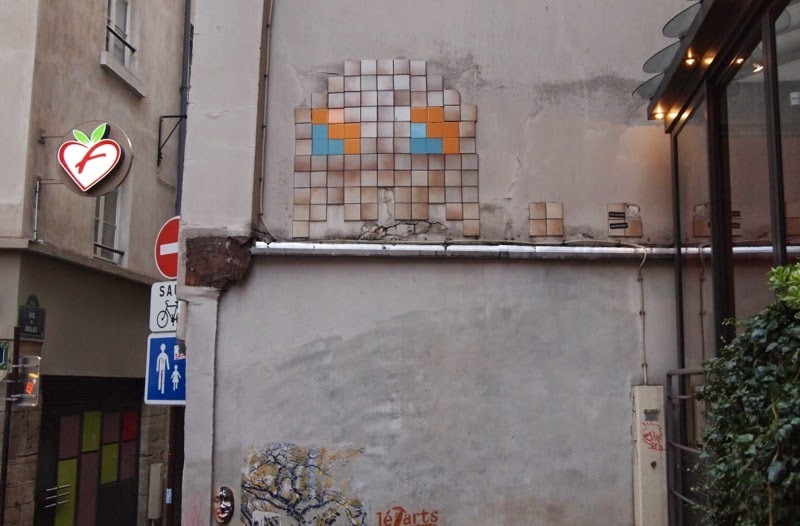 They were based on the 1970's video game Space Invaders and used a pixelated style based on mosaics to create these small aliens. The appear in waves as the artist creates a number of them at the same time, which then invade different parts of the city. 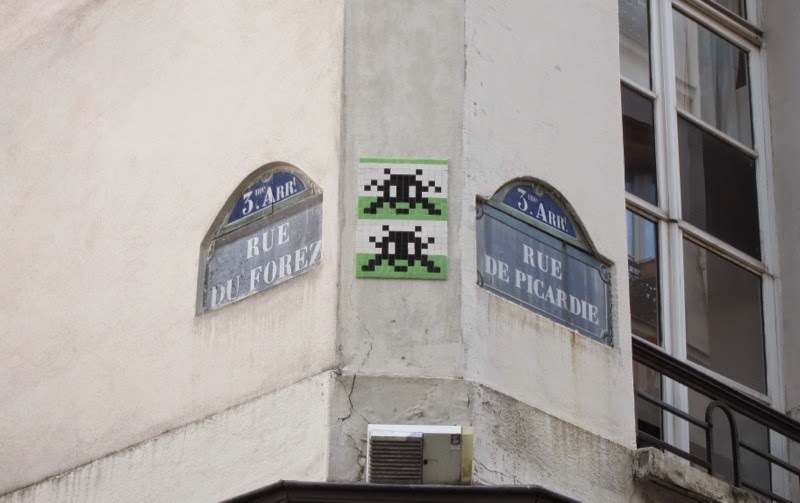 Starting from humble beginnings in Paris, Invader has spread his wings and his work can now be found in more than 30 cities around the world, including London, New York, Tokyo and Hong Kong. But Paris is where it all started- the Mothership, so to speak. 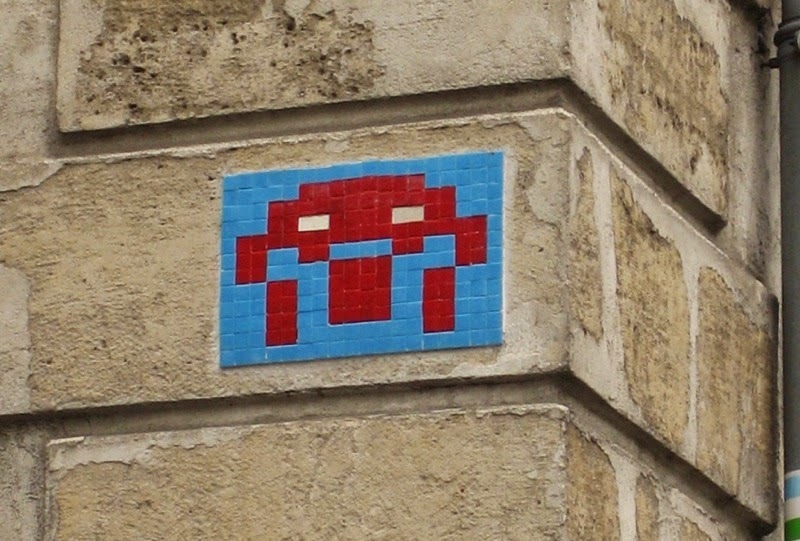 Although the vast majority of his artworks is based on the Space Invader theme, Invader has branched out into different themes, including cartoon characters, all made of colourful mosaics. Once you get to the City of Lights, just keep your eyes open. They're everywhere- often high up, but sometimes in surprising places. 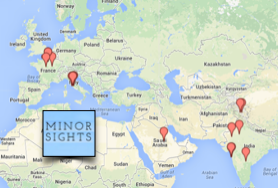 There's an online map maintained by Invader that shows all the cities that have been invaded. There's even an app you can download for your smartphone- see if you can spot the largest number. 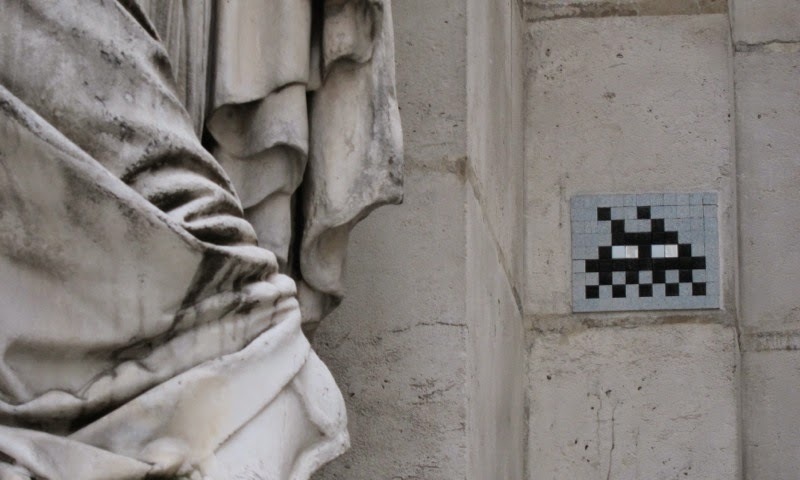 Download the 'spot the invader' app. 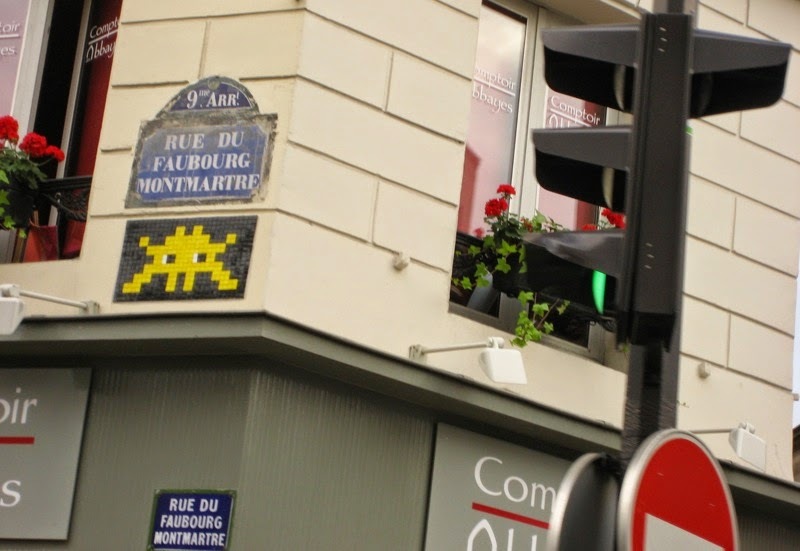 Fun fact: do you know that if you locate all space invaders in Paris and then join the dots you will get a big space invader?